Breathtaking color and 4K HDR clarity. 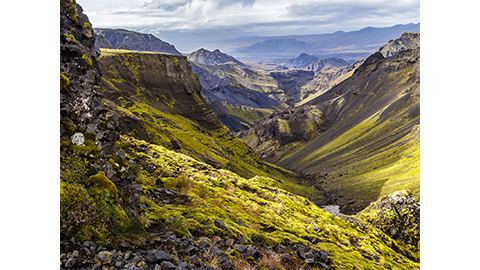 Beautiful scenery comes to life with the 4K HDR X1™ Processor and TRILUMINOS™ Display in the X830F 4K HDR TV. Lifelike detail is revealed in your favorite entertainment with Dynamic Contrast Enhancement and 4K HDR Super Bit Mapping, displaying contrast and color gradation in stunning accuracy. It doesn’t just display content, it evokes emotion. 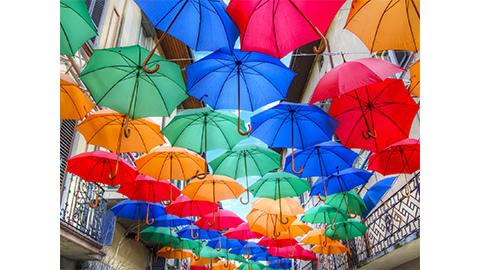 High Dynamic Range (HDR) will change the way you look at TV. 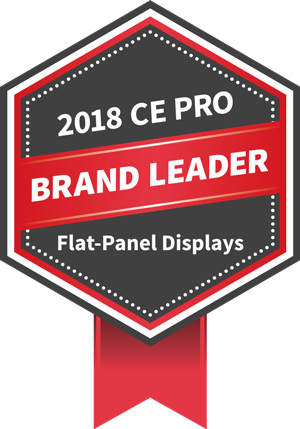 Combined with 4K Ultra HD resolution,1 HDR video content delivers exceptional detail, color and contrast, with a far wider range of brightness than other video formats.2 The result is the most lifelike picture TVs have ever been able to create, with brilliant highlights and fine detail. 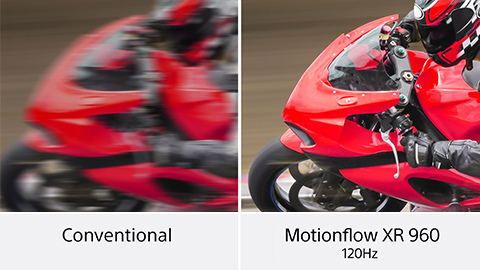 Our 4K HDR Processor X1 outperforms our original 4K Processor X1 with more real-time image processing power. 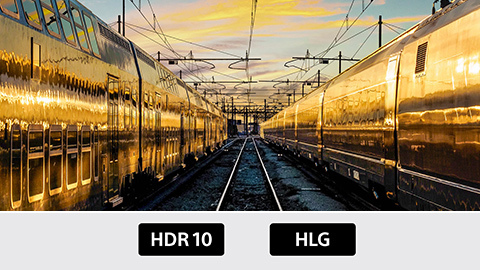 It takes even non-HDR content to near 4K HDR quality.1 Object-based HDR Remaster technology can detect, analyze and optimize each object in the picture individually to adjust the overall contrast for a more natural and realistic picture on screen. The difference is clear. 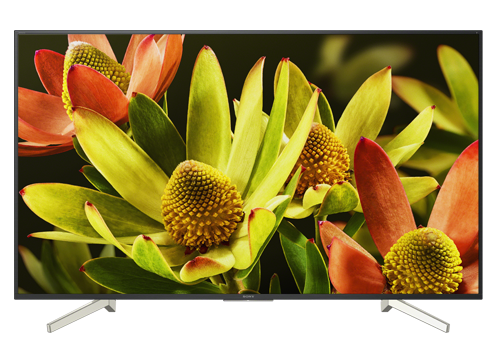 You’ll see lifelike detail and stunning clarity, no matter what you're watching. Two powerful image improvement databases work together, dynamically improving images in real time. 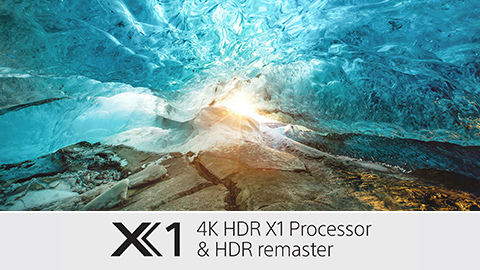 4K X-Reality PRO™ upscales images to near 4K clarity while a second database cleans the picture and reduce on-screen noise. Every single pixel is enhanced beautifully by the powerful 4K HDR Processor X1. 1	3,840 x 2,160 pixels. 2	Requires HDR compatible content from supported streaming services, such as Netflix, Ultra and Amazon Video. 3	User must connect to a Google account to use, including voice to activate linked apps. Network services, content, and the operating system and software of this product are subject to third party terms and conditions, registration and fees, and may be changed, interrupted or discontinued at any time. Internet connection required. 4	Third party product and services sold separately. Must download 3rd party apps in smart phone. Requires compatible devices connected to the same wireless home network. User must link compatible devices in order to control operation. Download the Google Home app from the iPhone App Store or Google Play to your smart phone in order to operate compatible third party products and services utilizing Google Home app and Google Assistant on Sony TV. 5	Amazon Alexa enabled devices (sold separately) compatible with Sony TV’s powered by Android TV. Works with voice-enabled remote controls. Subscriptions may be required to access certain content. 6	Service not available in all areas. See www.psvue.com for details. Sony Entertainment Network Account is required. Network services, content, and the operating system and software of this Product may be subject to individual terms and conditions and changed, interrupted or discontinued at any time and may require fees, registration and credit card information. Sony X-Reality, Motionflow, TRILUMINOS, TV SideView, X-tended Dynamic Range and the Sony logo are trademarks of Sony Corporation. PlayStation Vue logo is a trademark of Sony Interactive Entertainment Inc. HDMI is a trademark of HDMI Licensing LLC. Android, Android TV, Google Cast, Google Play, Google, YouTube and the Google logo are registered trademarks of Google Inc., used with permission. Amazon Alexa is a registered trademark of Amazon Technologies, Inc. All other trademarks are trademarks of their respective owners. Features and specifications are subject to change without notice.